The test fires that are used to assess ionisation and optical smoke detectors were developed in the 1980s, but the materials found in modern service environments have changed since then. There is now a greater use of plastics and flame retardant foams in modern buildings, but little information is available on the response of detectors to the smoke generated by the burning or smouldering of such materials. A research project investigated the smoke profiles generated from the fire tests specified in current smoke detector standards, and compared them with those produced from other burning or smouldering materials commonly found in modern service environments. The intention was to establish whether the current test fires are adequate for assessing smoke detector performance to a broad range of fires involving modern materials. Both ionisation and optical smoke detectors have been used in commercial and domestic environments for many decades. They use different methods to detect smoke and each is more attuned to detecting certain types of smoke particles. Ionisation smoke detectors are typically more responsive to flaming fires in which many small smoke particles are generated due to the high energy of the fire. These small particles tend to strip ions in the detection chamber which leads to a quick response. Smouldering materials, however, tend to produce fewer but larger particles that are more difficult for ionisation detectors to detect. Optical smoke detectors are typically more responsive to the smoke particles from smouldering fires as the larger particles generated cause greater scattering in the optical chamber. Optical detectors can be less responsive to the small particles produced during flaming fires that cause less scattering. It is worth mentioning here that ionisation smoke detectors installed near kitchen areas are prone to causing false alarms. This is because the smoke generated during cooking and from toasters tends to comprise of smaller particles with high energy, which cause ionisation detectors to respond. The greater use of optical smoke detectors near kitchens will lead to a reduction in false alarms from cooking fumes. As both types of technology contain inherent strengths and weaknesses, this research project aimed to identify whether ionisation detectors perform poorly to smouldering fires and if optical detectors are less responsive to flaming fires. Current standards use the same methodology for identifying the most challenging conditions under which to test smoke detectors. 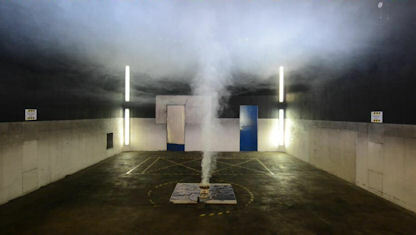 Four test fires are used to assess smoke detector performance – these are TF2: smouldering wood, TF3: smouldering cotton, TF4: flaming plastics and TF5: flaming n-heptane. The average smoke profiles produced from the four test fires are shown in Figure 1. 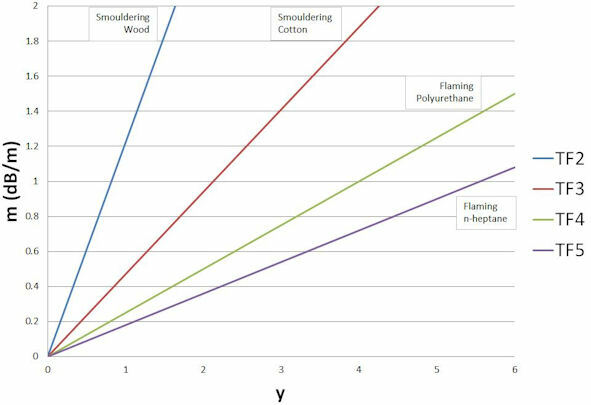 The y-axis (m) represents the optical density (measured in dB/m) and indicates the larger particles which are generated in greater quantities during smouldering fires. The x-axis (y) is a dimensionless quantity that reflects the amount of ionisation taking place and represents the number of smaller particles which are generated in greater quantities during flaming fires. Twelve approved smoke detectors and smoke alarm devices from undisclosed manufacturers were used for the fire tests; eight of these were installed on the ceiling and four on an adjacent wall. The detectors comprised of eight domestic smoke alarm devices (four ionisations and four opticals) and four commercial smoke detectors (two ionisations and two opticals). To define the end point of the tests, guidance was taken from current standards, which specify end of test limits for smouldering and flaming fires that are m=2 dB/m or y=6 respectively. Twenty-nine test fires were conducted, including four test fires specified in current fire detection standards. Of these eleven were smouldering fires, sixteen were flaming fires and two started off smouldering and went on to become flaming fires. The fuels used included unleaded petrol, medium density fibreboard (MDF), PVC cable, flame retardant polyurethane foam, sunflower oil, newspaper, polyester, nylon, ABS, polystyrene, polycarbonate and polyethylene. All of the detectors were periodically replaced, as exposure to the smoke from a number of tests could cause contamination in the smoke chambers that could potentially affect their response. Of the twenty-nine test fires conducted one produced too little smoke and could not be reproduced however five produced too little smoke and were repeated with greater quantities of fuel. For the twenty-three complete tests, sixteen fell within the m/y limits specified in current standards. From these tests there were six no responses and 270 responses which represents positive responses 97.8% of the time. The six no responses are attributed to the inconsistent responses of one particular type of detector and suspected contamination for the remaining ones. Even though no statistical data was gathered by repeating tests, the results do provide evidence of the response characteristics for the types of detectors (optical or ionisation) to a variety of smoke types produced from smouldering and flaming fires. The test fires TF2-TF5 do cover most general purpose applications as a real fire is unlikely to involve only a single type of material. As more materials with different smoke characteristics are involved in the fire the likelihood of detection increases. However, it should be noted that smouldering fires can continue for a long time with only one material being involved, potentially leading to the production of toxic gases in fatal concentrations. An example is bedding in contact with a heat source such as a lit cigarette. In this case an ionisation detector may not respond and therefore should not be sited in locations where such a scenario is possible. In contrast a flaming fire in a building will eventually produce sufficient heat that will radiate onto other materials and lead to the production of smouldering smoke particles to which the optical detectors are expected to respond. This research demonstrated that commercial and domestic approved ionisation and optical smoke detectors respond to a broad range of fires within and beyond the fire test limits of existing standards. 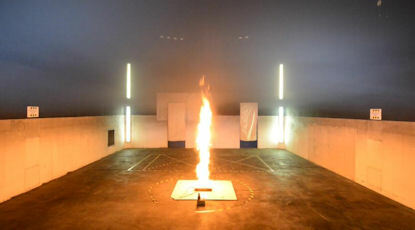 The fire tests specified in current standards are considered to be appropriate and are sufficiently wide in terms of distribution of smoke characteristics. This demonstrates that the fire tests specified in these test standards are still applicable today and, despite the changes in the use of materials over the decades, approved smoke detectors have very wide smoke response capabilities. Both ionisation and optical smoke detectors are attuned to detecting certain types of fires. In order to ensure that the most appropriate type of device is installed, guidance on the use of ionisation and optical smoke detectors should be sought from relevant codes of practice. Further work is due to take place with a number of interested parties, which will investigate the performance of a variety of optical heat multi-sensor detectors to some of the test fires conducted during this research programme. Further details of this work can be found in a briefing paper available here.